I love nature and being outside and my first choice of career was Garden Designer (after Vet). 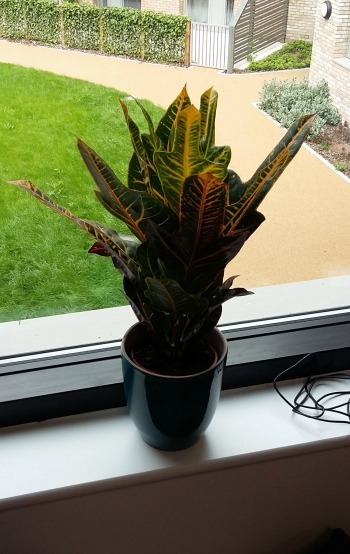 So when my company moved to a new office where we actually have windows the first thing I did was get a plant for our window sill. First to join us was a peace lily, swiftly followed by a house leek, cactus and orchid. We agreed a budget and I tried to work out where to get plants in central London with £10 per window and a requirement for nice pots. 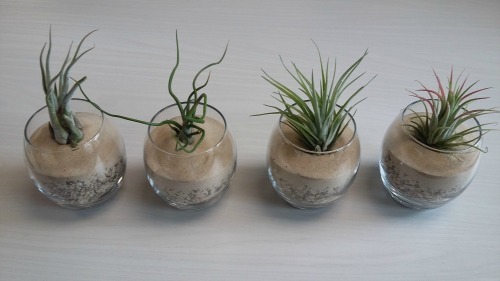 I also had to make sure they were plants which would deal with an office environment. The peace lily does not really like it and if we forget to give him a good water before going home on Friday, he is very limp when we get in on Monday. If I want to get new plants at home I just jump in the car and visit one of the many garden centres near by. No chance of that here. 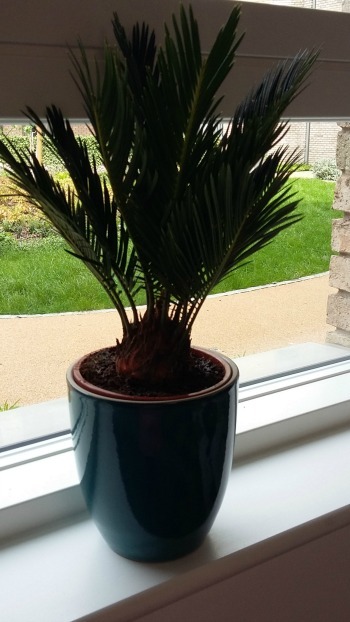 However I had come across an off license near the office which sells plants, so I went to have a look. I got a great selection here, then topped up with some air plants. This gave a good variety of sizes with plants which could deal with a slightly drier environment. But what to put them in? For most of them I ended up at B&Q which gave me a great selection of pots of all colours and sizes, but did involve a trek across London with a very heavy suit case. 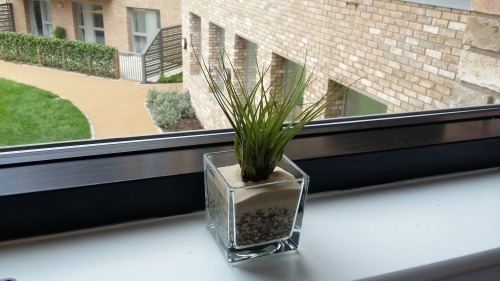 For the air plants I found that Sainsburys had some glass tumblers which were the perfect size and with a little bit of gravel and sand donated by my husband they look fantastic. I hope they like their new home and that the guys in the office enjoy them, even if they don’t always notice them. Although not your traditional UX Design project I really enjoyed the challenge of getting what I wanted within the budget and helping to make the office feel more homely.